No one can resist a hot baked spud,crispy skin and soft creamy filling. 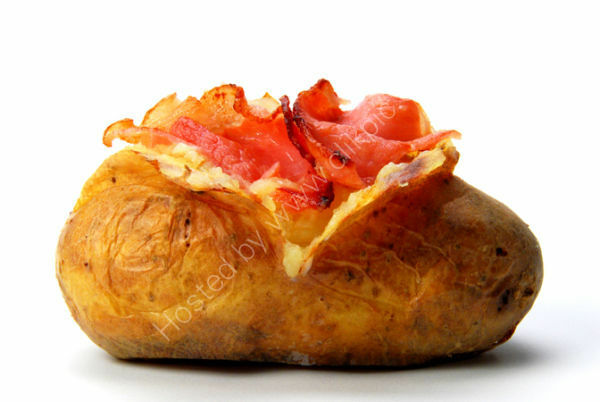 Tip; place the potato in a micro wave first and then for 15 minutes in a hot oven. Cut a cross on the flatist side scoop out the filling,mash with butter a little olive oil and soft cheese and replace mixture in the skin, place back in the oven for a further five minutes and serve topped with crispy smoked baked.